20oct11:00 am3:00 pmMeet Your New Best Friend Adoption Day11:00 am - 3:00 pm Bookmans Entertainment Exchange East, 6230 E. Speedway Blvd. They say a dog is a man’s best friend! Have you met yours yet? At Bookmans East on Saturday, October 20th from 11:00-3:00 you can!! Our animal welfare family ginormous and each community is dedicated to finding the right home for animals in need. Meet organizations like the Southern Arizona Greyhound Rescue and the Southern Arizona Golden Retriever Rescue! For those of you who already have a furry friend: It’s almost Halloween! 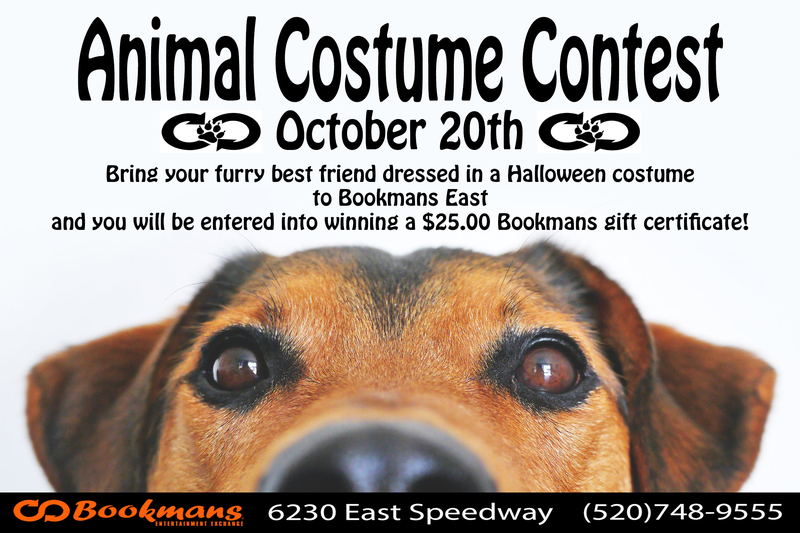 This is the perfect chance for you to bring your best friend to Bookmans in costume! Animals dressed up and brought to Bookmans East will be entered into winning a Bookmans gift certificate!